HUALIEN - Rescuers combed through the rubble of collapsed buildings on Wednesday, some using their hands as they searched for about 145 people missing after a magnitude 6.4 earthquake struck near the popular Taiwanese tourist city of Hualien overnight. At least 4 people were killed and 225 injured in the quake that hit near the coastal city just before midnight on Tuesday, officials said. The latest figures from government data indicated 145 people were missing. 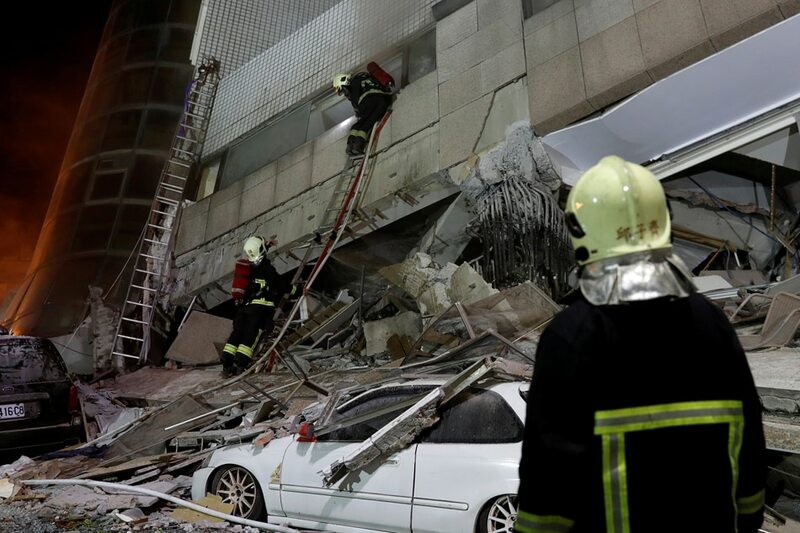 Many of those were believed to be still trapped inside buildings, including a military hospital, after the quake hit about 22 km (14 miles) northeast of Hualien on Taiwan's east coast. Taiwan, a self-ruled island that China considers part of its territory, lies near the junction of 2 tectonic plates and is prone to earthquakes. An earthquake with a magnitude of 6.1 struck nearby on Sunday.